On September 8, on the birthday of a native city which celebrated its 229th anniversary, NIBULON presented an incredible water show performed by its new multipurpose seagoing tug of the T3500 project. 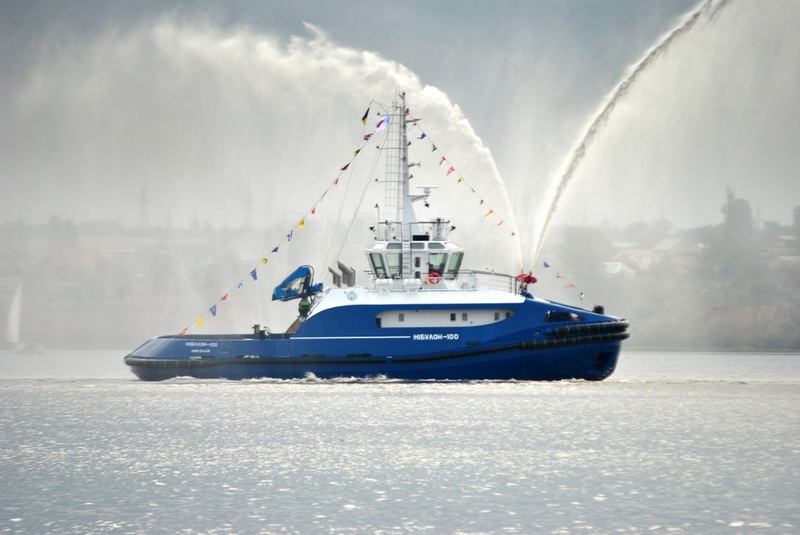 The tug was launched with the participation of the President of Ukraine Petro Poroshenko at NIBULON shipbuilding and repair yard on May 23, 2018. The launching took place during the largest exhibitions of achievements and new developments in shipbuilding and water transport held for last decade. This is the first vessel of this class that has been launched in Ukraine for the last 13 years. On that day, solemn keel-laying of two more vessels – POSS-115 project tug and the first 140-m vessel of the company (self-propelled P-140 project floating crane) – was held with the participation of the President. 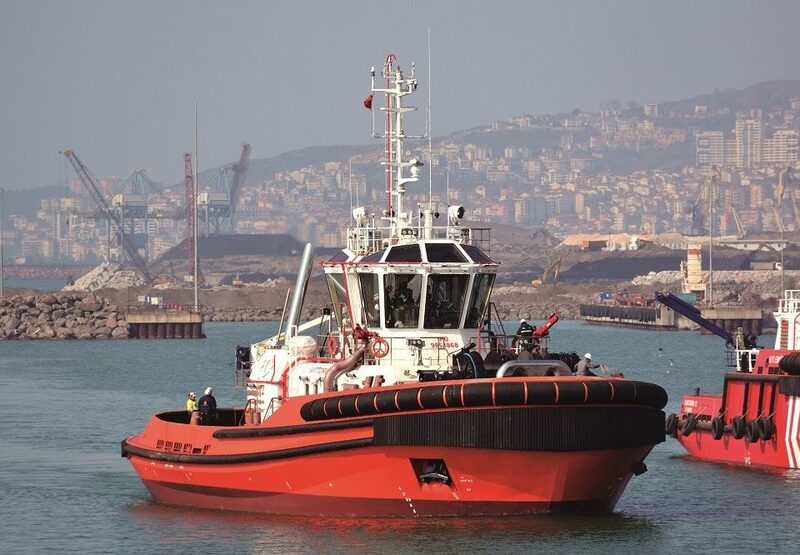 The multipurpose seagoing T3500 tug NIBULON 100 is one of the most modern projects constructed at NIBULON shipbuilding and repair yard. The tug is intended for escorting foreign going vessels along the Buh-Dnipro-Lyman Channel (hereinafter BDLC), mooring, escorting convoys of non-self-propelled vessels (from 2 to 4 units), and escorting convoys along the channels during ice conditions in the navigation area in the Dnipro River and the Black Sea. Thanks to two deluge guns, the vessel is capable of discharging water stream of 375 m3 per hour (the length of water stream – 100 m). Due to this, it can put out the fire both on the vessel and on the shore. Despite harmonious lines and modern forms that are more likely to remind an elegant yacht, it is equipped according to the highest technological standard. 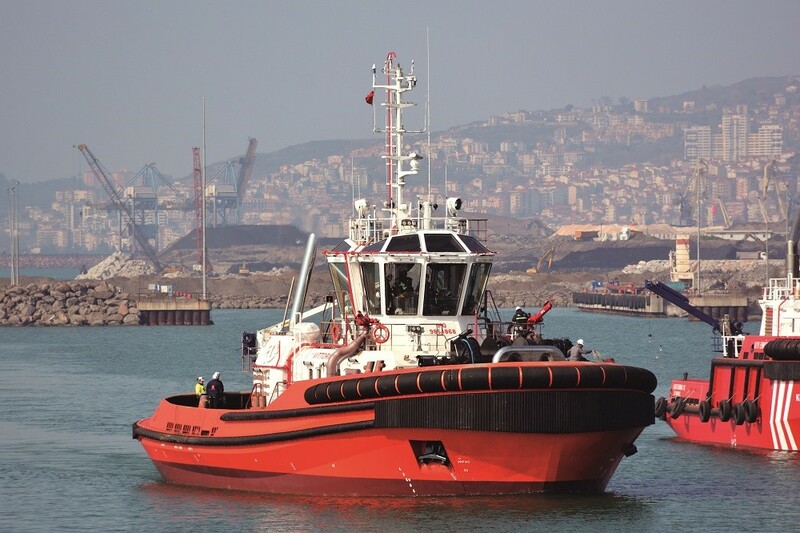 On this tug we have installed the equipment purchased from the world’s leading manufacturers, namely from MTU (Germany), Rolls-Royce (Finland), Volvo-Penta (Sweden) etc. 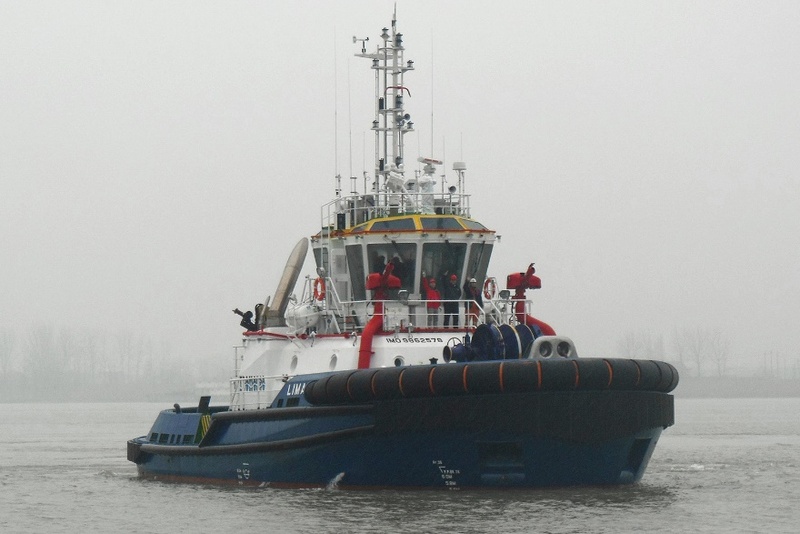 These are multipurpose ice-breaking tugs capable of operating during ice conditions with a thickness of ice up to 60 cm. 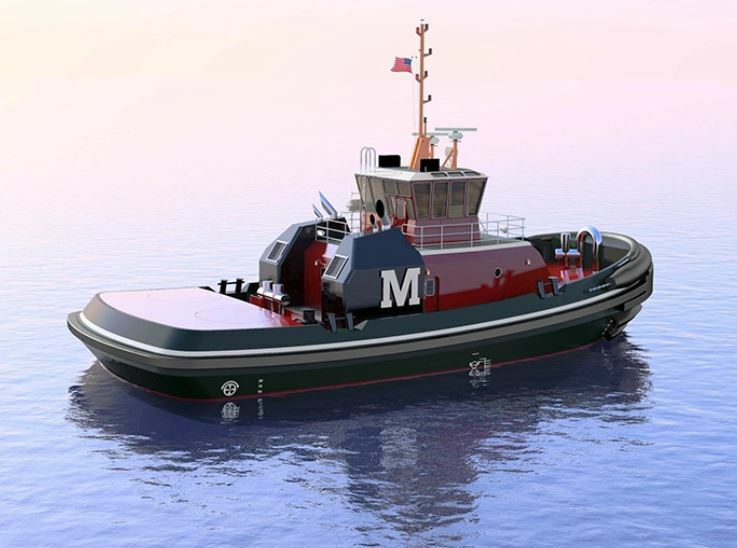 Thanks to special rudder propellers, the tugs are very maneuverable. Taking into account such universal characteristics, vessels are capable of towing vessels with a displacement of 50-70 thousand tons and to ensure safe and comfortable escorting of vessels along the channels and mooring them to the berths. The company’s water show received a large number of positive comments, as well as applause. We are happy to inform you that the second T3500 vessel will have been put into operation by October 1. Read our news. We will inform Mykolaiv citizens and organize a real holiday with a demonstration of the capacities not only of these two tugs, but also of the company’s other vessels.